Likely sales prospects will ask us to call them back and perform some sort of lead follow-up when working to generate leads and/or close sales. This occurs quite frequently so the better we’re able to manage and execute our following up, we have tremendous improvements in overall sales results. The following are five practical and simple to use sales tips which will create immediate improvements in following up on sales leads. Having tools or processes to remind yourself when to follow up with sales prospects is critical. This tip might not need that much attention because it might be likely that the majority of sales people utilize some sort of reminder or system to track leads. It’s helpful to ensure reminders are working so sales leads are followed up with at the right time even if a process is in place. CRM’s as well as computer based calendar programs are tools which are good for this. “Call back in a month” is what you hear a prospect say very often. Doing as they ask by calling them back in a month is one option we have. But, one thing wrong with that is when a prospect does this, they’re probably brushing you off which would mean they’re an unqualified lead in your pipeline and you may be wasting your valuable time when working on the lead follow-up. Learning more about why they’re asking you to do this is one thing that can be done when getting the request to follow back up later. If they want you to check back because they’re just busy now, will it be likely they’ll be just as busy when you call back or will there be a change? It’s possible they’ll always be too busy if they’re just normal busy now and can’t find time for you which could provide details surrounding how qualified the sales lead is. Identifying a compelling event is something which can assist you when you’re in the lead follow-up process. A sort of event and/or date which is important to a prospect as well as can be associated with the product or service you’re selling is a compelling event. You can use that information when you manage your follow-up related interactions when you’re aware of a compelling event. An example is if you have knowledge that the prospect has to make a change by June 1st, you can include that specific date in the discussion when prospects tell when to follow up. It can be powerful to let the prospects tell you when they want you to call them back when they aren’t ready to talk or move forward. We can often worry about being too aggressive with our follow-up calls being a sales person. There is no way for us to appear as we’re bugging them or being too aggressive because we’re simply following the guidance they provided if the prospect tells us when to call and we call them exactly when they say to do so. We could build out an evaluation plan by taking the guidance tip one step further and allow the prospect to detail out all future steps and time details of what would need to be done in the event that both parties agree to keep proceeding forward. This provides a map for lead follow-up interactions. 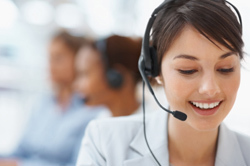 SalesScripter provides call scripts helping sales professionals to improve lead follow-up.